President Donald Trump says freshman Democratic congresswoman Ilhan Omar “should be ashamed of herself” over tweets suggesting that a powerful pro-Israel interest group paid members of Congress to support Israel. The Minnesota congresswoman “unequivocally” apologized earlier Monday after House Speaker Nancy Pelosi and other Democrats rebuked her. She said she had no intention of offending anyone and thanked her colleagues for educating her on anti-Semitic tropes. 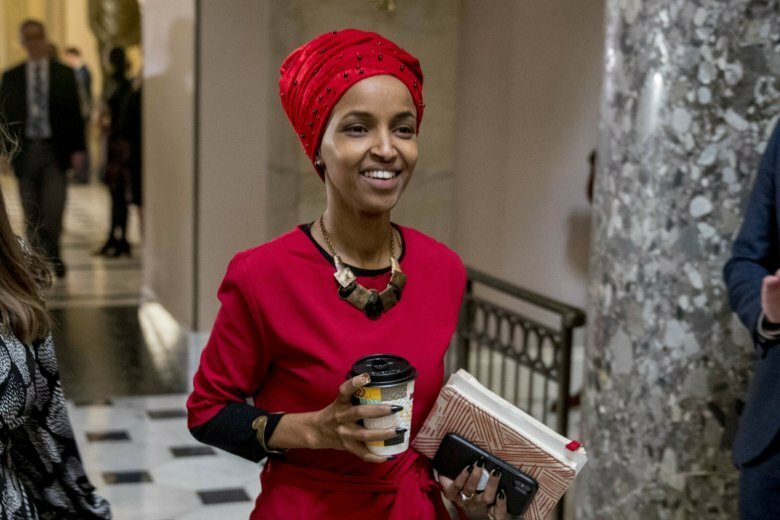 Freshman Democratic Rep. Ilhan Omar of Minnesota has “unequivocally” apologized for tweets suggesting a powerful pro-Israel interest group paid members of Congress to support Israel. Earlier Monday, House Speaker Nancy Pelosi and other Democrats had rebuked her for the tweets. Foreign Affairs Committee Chairman Eliot Engel in a statement Monday did not directly mention Minnesota Rep. Ilhan Omar’s tweet, in which she said that the American Israel Public Affairs Committee is paying members of Congress to support the Jewish state. But Engel said he finds it “shocking to hear a member of Congress invoke the anti-Semitic trope of ‘Jewish money. '” He said he will emphasize to committee members of both parties that the American-Israeli relationship is important. Omar’s tweet sparked a bipartisan backlash. Some lawmakers called on Democrats to remove her from the Foreign Affairs Committee.